Length about 6 mm. 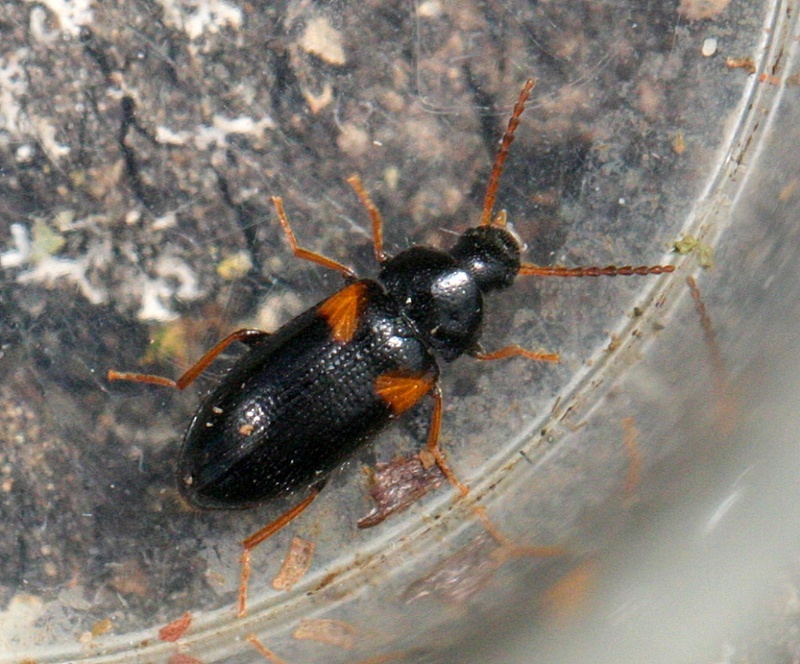 A distinctively marked black beetle with orange shoulder patches and appendages. Associated with woodland and sometimes recorded under bark. Summer is the time that this species is most likely to be encountered. 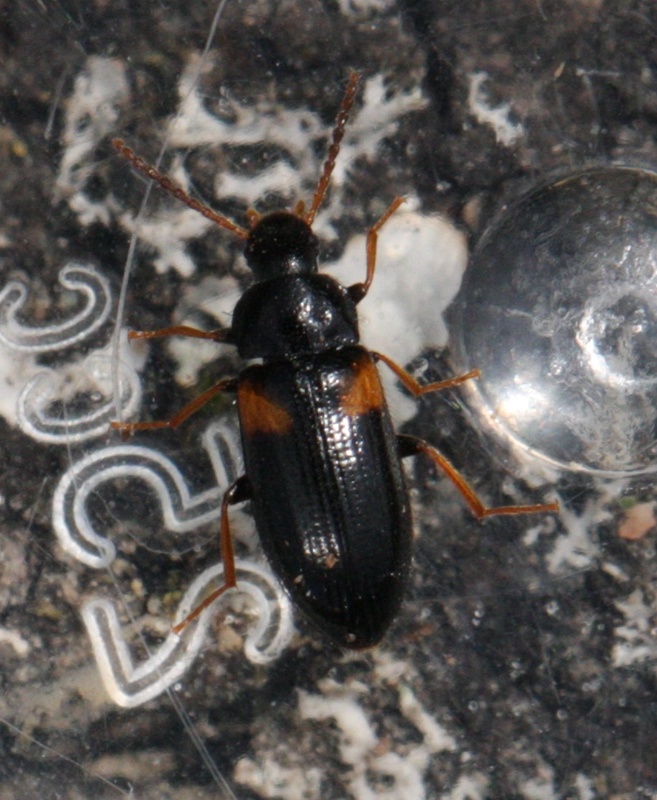 It is a scarce beetle with a national status of Nationally Scarce A and being most frequent in south-eastern England. Rare in Leicestershire and Rutland it was not recorded in VC55 until 2016.